As part of the traditional tourism event, the Days of Croatian Tourism, tourism awards were presented tonight to the top operators in the tourism sector, in the following categories: Cultural, tourist attraction of the year, Tourist event of the year, Innovation in tourism of the year, Marina of the year, Restaurant of the year, Campsite of the year, Tourist agency of the year, Hotel of the year, Tourist destination of the year, and “Anton Štifanić” life achievement award. 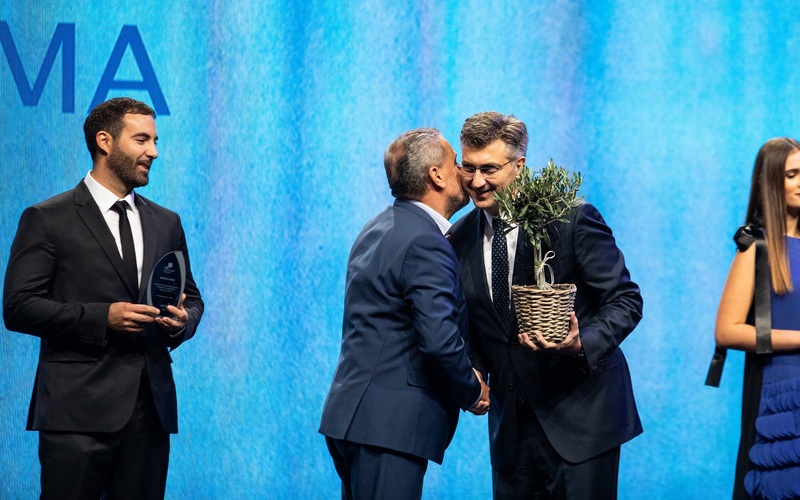 Ten awards were presented by the Croatian Prime Minister Andrej Plenković, the Minister of Tourism Gari Cappelli, the Director of the Main Office of the Croatian National Tourist Board Kristjan Staničić, and the President of the Croatian Chamber of Economy Luka Burilović. "This year our country received numerous awards, it is better than ever ranked on the world tourist map, and connected by airlines with the whole world. We are placed among the three most desirable destinations in Europe, Croatia received the title of the most desirable new European destinations for Chinese tourists, and was named the top tourist destination in the Canadian Quebec. We have almost ten months behind us of tourist year that was challenging and exciting, and I believe that the positive results will continue also in the last months of this record year. This success is the result of work of all tourist operators, all hosts, and those who make tourism a better sector. Therefore, I would like to take this opportunity to congratulate all of you, especially the award winners, for making Croatian tourism every year more innovative, more quality oriented, and more interesting. I believe that ahead of us is a bright and fulfilling future of Croatian tourism. I believe that with joint actions and dealing all together with future challenges we will continue to break records and make the Croatian tourism even more competitive, more open and fulfilling for every visitor”, said the Minister of Tourism Gari Cappelli. "Tourism is a very specific sector on which the overall community has a strong impact. 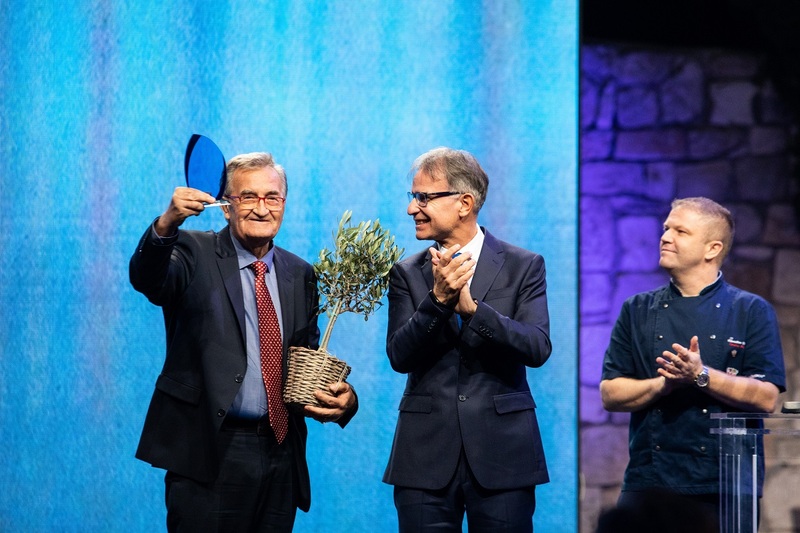 It is why this awarding ceremony within the Days of Croatian Tourism represents maybe the most important part because in this way we further emphasize the importance and the contribution of all tourist operators in the realisation of tourism results. Croatia is today a respectable tourist destination which from year to year retains the positive growth trends, and this is the result of the selfless dedication and work of our people. Encouraged by the excellent results achieved this year, we are firmly stepping forward towards the 2019 tourist year”, said the Director of the CNTB Kristjan Staničić. "Human resource is our biggest treasure, and the tourist success that we achieve would not be possible without this year’s laureates. What awaits us as a society is an even greater increase in quality, offer and tourist results, along with the strengthening of other sectors that will lead to an increase in GDP and the overall level of prosperity. Tourism indirectly represents a large lever, especially in terms of placement of our national products through tourism, which should serve as our best and biggest showcase. Namely, it is unreal to expect that only tourists in our accommodations will significantly increase the market for our companies. However, we can expect that our products, from food to furniture or IT solutions in our accommodation units can be successfully promoted and presented to foreign tourists”, stated the President of the Croatian Chamber of Economy Luka Burilović. 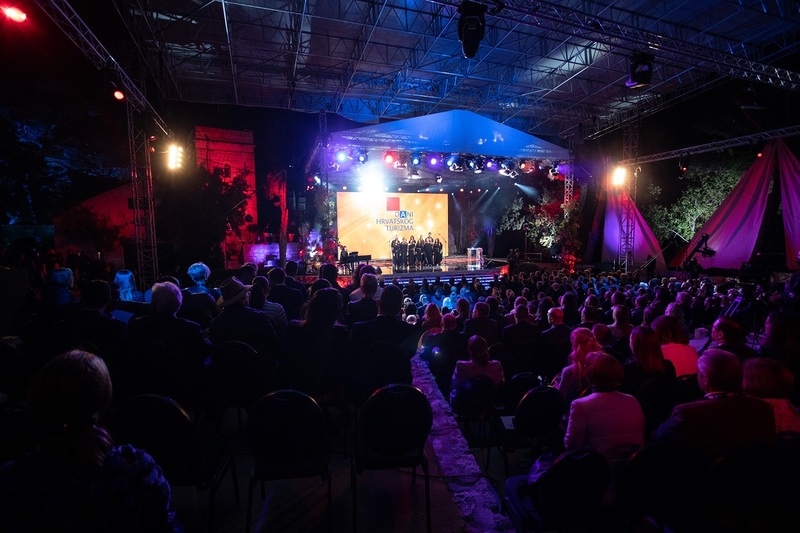 The Days of Croatian Tourism were concluded with this award ceremony in the town of Hvar on the island of Hvar, and more than one thousand eight hundred participants from the Croatian tourism system, business and social life attended the event.